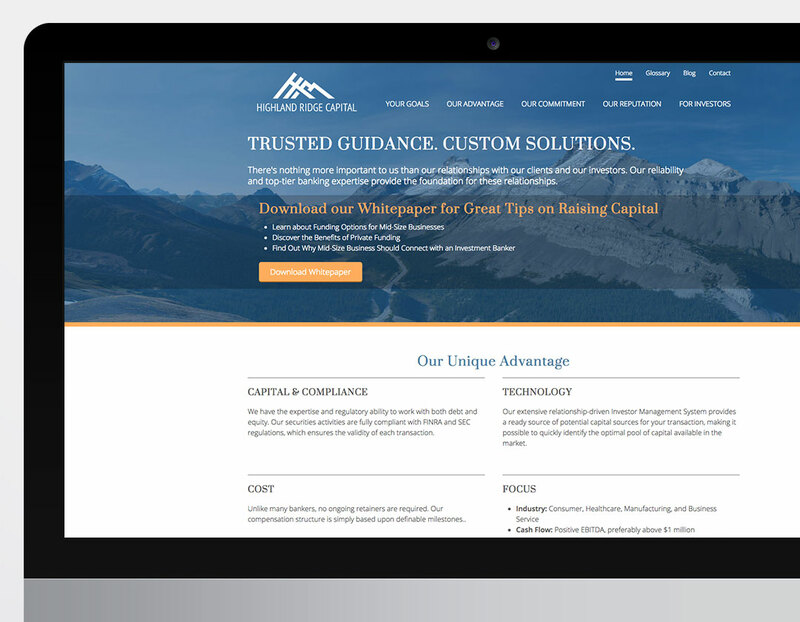 Leveraging the "mountain" visual of the new brand identity, we created a website that positioned Highland Ridge Capital as a trusted partner rooted in a solid foundation of experience and high ethical standards. Right upfront, we presented the top three scenarios that might prompt a prospective client to seek the services of Highland Ridge Capital: 1) Expand, 2) Refinance and/or 3) Ownership Transition. 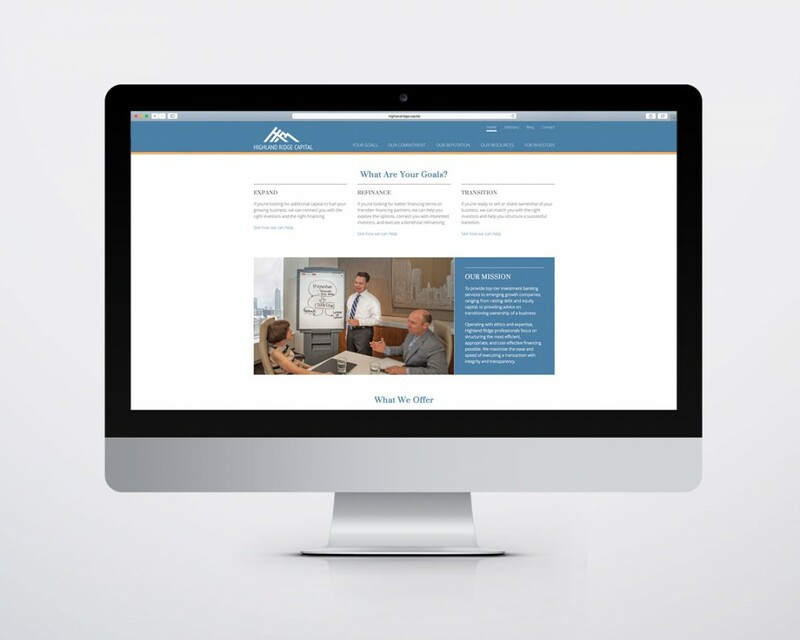 All aspects of the website—from structure and navigation to messages and images—serve to engage the user and start a productive conversation leading to a mutually beneficial creative transaction.